A new workforce on the line: Audi's Mexico investment has launched the development of an entire nearby city to support the plant. MEXICO CITY—In the big scheme of global auto industry investment, Mexico has been a phenomenon with few equals. Mexico continues reeling in foreign direct investment by automakers and suppliers. The capital movement is leading to higher vehicle production, more exports and a rising income level that – in turn – is fueling a double-digit growth of domestic car and trucks sales. What is Mexico doing right? And just as important, will its story now be derailed by the flare-up of trade friction with the United States? Ildefonso Guajardo, Mexico’s economy minister, is not worried. Guajardo thinks Mexico is positioned to become the world’s fifth-largest auto producing-nation by 2020, with five new auto plants opening in the 2016-2019 period. Industry analysts agree that Mexico’s upward trajectory in manufacturing will continue at least until the end of the decade, based solely on already-announced investments. Guajardo says the country’s success comes from a combination of robust government support for the auto industry, free-trade agreements with dozens of nations around the globe, strong logistics and low production costs. The industry has seen what Mexico is willing to do to attract and support it. One of the country’s newest auto assembly plants illustrates the point. Germany’s premium manufacturer Audi spent $1.3 billion to open its first Mexico plant last year in San Jose Chiapa, about 600 miles south of the U.S. border. The plant now builds Audi’s best-selling Q5 crossover, and is gearing up to reach full capacity of 150,000 with about 4,200 workers, according to Audi. San Jose Chiapa is about 40 miles from Puebla, where sister company Volkswagen has a sprawling factory that goes back 50 years. But Audi’s site is more rural, and state officials recognized that the company would require services and support beyond the typical economic incentives that mega-projects require. The Puebla government developed plans to use the Audi project and its adjacent supplier park as the nucleus for a new city, built from scratch. 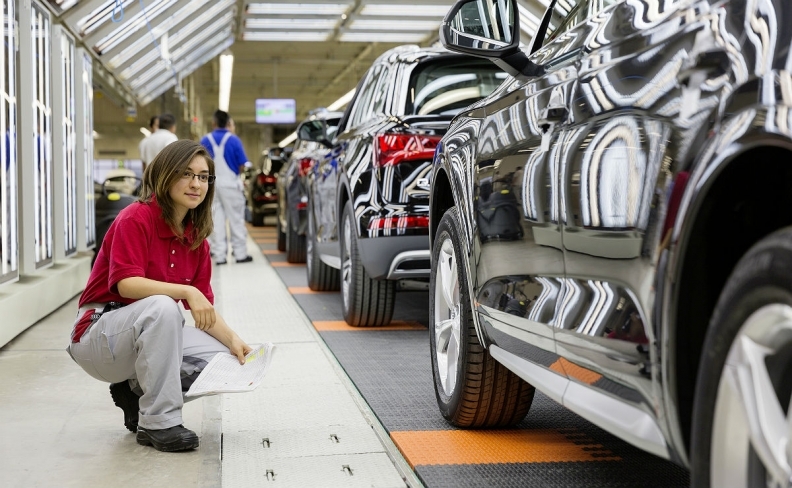 The state of Puebla envisions turning the location into a major industrial center, a move that could lift poor local farmers up from poverty with jobs at the auto plant, with Audi’s parts suppliers, and with service sector employers stimulated by the new activity. State officials expect the development activity to generate about 62,000 new jobs for the immediate region by 2030, and attract about 100,000 residents to the new city – called “Model City” – over the next several decades. phase of the supplier park for just-in-sequence delivery. The initial residents of the Audi park include Faurecia ET, ThyssenKrupp Automotive, TI Automotive, and Truck and Wheel, according to Audi. 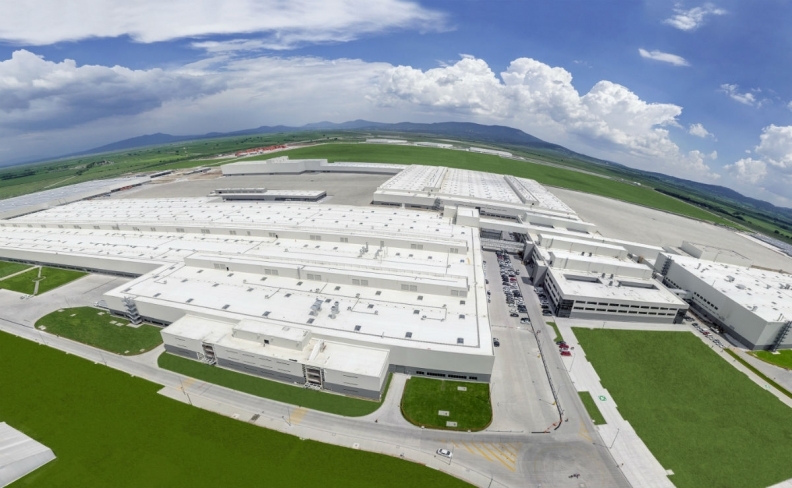 A view from the air of Audi's newly opened plant in rural San Jose Chiapa, Mexico. Automakers have gravitated to Mexico to take advantage of industrial incentives, low costs and free-trade arrangements. Mexico’s federal government competes aggressively with infrastructure programs intended to bring down the logistics costs of manufacturing in an undeveloped automotive corridor. The country also provides worker-training programs and engineering scholarships to bring universities and automotive companies together. Individual Mexican states offer their own tax incentives and project-specific infrastructure commitments that reach into the hundreds of millions of dollars. That public investment is paying off. Last year, Mexican factories produced nearly 3.5 million light vehicles, a record volume that made Mexico the world’s No. 7 auto-producing nation, according to government and industry data. About 2.8 million of those vehicles were exported. The Mexican Automotive Industry Association estimates that new assembly plants under construction – along with expansions of current ones – will push overall production to around 5 million units by the end of 2020. Kia joined the Mexican assembly club in 2016 with its first local plant, an investment of $3 billion. BMW will open a new factory to produce the 3 series, and a luxury-vehicle venture between Mercedes-Benz and Infiniti is scheduled to launch late this year. Toyota, which currently builds the Tacoma pickup in Tijuana, will open a Corolla car plant in 2019 in central Mexico. Auto parts exports were even higher than the $42 billion worth of autos shipped to the U.S., according to the National Automotive Parts Manufacturing Association, or INA for its Spanish-language initials. Mexico’s suppliers exported $63 billion in auto parts last year just to their biggest customer – the United States. “Mexico has demonstrated its global quality by breaking records for production and exports,” said Rogelio Garza, the deputy economy minister, speaking at Mexico’s International Automotive Industry Congress in June. “Mexico can count on companies that have successfully inserted themselves into the production chain, elevating the value-added of its products, increasing the technical capacity of its workers and transforming the panorama of the national industry,” Garza said. Industry analysts at the automotive congress said automakers and government officials are currently working to lure more Tier 2 and Tier 3 suppliers to Mexico to bolster just-in-time operations. 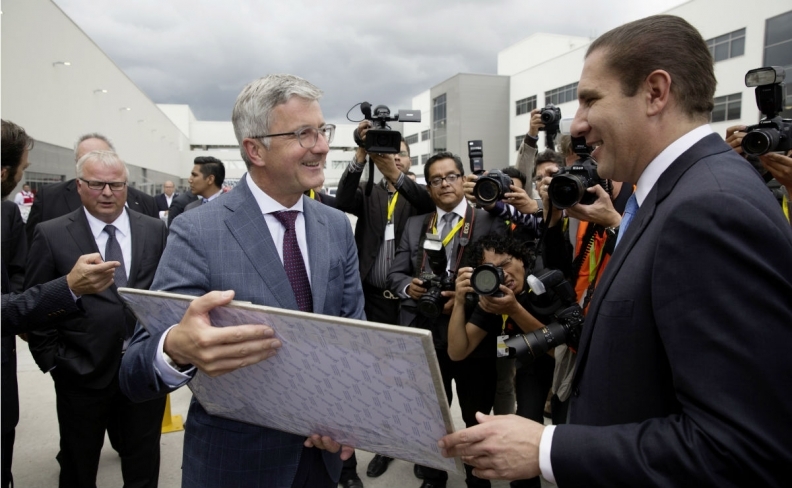 Rafael Moreno Valle (right), governor of the Mexican state of Puebla, presents Audi CEO Rupert Stadler a gift to commemorate last year's plant opening. Mexico has been under the magnifying glass for the past year as U.S. politicians debated the fate of the 1994 North American Free Trade Agreement with the U.S. and Canada. But Mexico’s larger effort for global free trade also has attracted automakers. Mexico has 14 free-trade agreements covering 46 countries, and is now negotiating new ones or expanding existing ones, according to Oscar Albin, executive president of the INA auto-parts chamber. “We are at the center of the world,” he said in a recent interview, pointing to a map showing Mexico’s access to North America, South America, Europe and Asia. The agreements mean that Mexico’s manufacturers can send finished autos and parts around the globe with minimal trade barriers, reducing costs for exporters. Mexico’s geography and transportation logistics means those products can be shipped to the U.S. in less than a week and to Europe in around two weeks, undercutting other nations that compete for automotive investment.